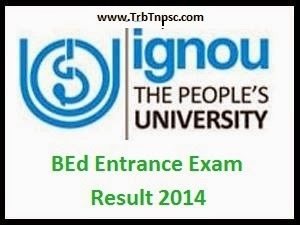 Every year IGNOU published the results of BEd Entrance Exam results on october end or november month. And also IGNOU conducting counselling on the basis of the BEd Entrance exam result 2014 on November onwards. This year also we expect the IGNOU bed entrance exam 2014 result will be published on october month. The selected candidates list will be published in ignou university's official Website: http://www.ignou.ac.in/ . i) Graduation or Post-Graduation Degree with fifty per cent marks: Provided that the requirement of fifty per cent marks shall not apply to persons appointed as teachers prior to the commencement of the National Council for Teacher Education (Regulations Norms and Procedure) Second Amendment Regulations, 30.3.2010 and Gazette Notification dt. 26.7.2010.
ii) Two years’ full time teaching experience on temporary/permanent basis as Primary/Graduate/Post Graduate teacher in a primary, secondary/higher/senior secondary school with registration number recognised by the respective Directorate of Education or Central or State Government or Union Territory. The teacher should be in service at the time of submitting application form as well as at the time of producing the original documents at the Regional Centre. The experience certificate should be issued by the Principal or Headmaster/Headmistress only. The requisite teaching experience of two years must be completed on or before the last date of submission of application as notified in the advertisement. iii) The reservation for SC/ST/OBC (Non-Creamy Layer) and other categories shall be as per the rules of the Central Government. There shall be relaxation of 5% marks for them. iv) The candidate should submit their application form only at the concerned Regional Centre under whose jurisdiction/operational area the working school falls. v) Masters’ Degree awarded without a first degree is not accepted for purpose of Academic Studies in IGNOU. 3) Reservation of at least one year in merit quota in technical/professional institutions. vii) Candidates who appeared in the qualifying examination (Bachelor/high degree) and the result are awaited can also apply but must provide proof of qualifying examination before counselling for admission. viii) There is no age bar for admission to the B.Ed programme.